Hydropower. Il potere dell’acqua. Potenza dell’acqua. Acqua intesa come risorsa, acqua come energia vitale, “acqua” che fa rima con “vita”. Come dovrebbe essere percepita, in senso ampio. Di seguito una serie di larghe potenzialità, che danno luogo ad altrettante considerazioni da fare. While some dams in the United States and Europe are being decommissioned, a dam-building boom is underway in developing countries. It is a shift from the 1990s, when amid concerns about environmental impacts and displaced people, multilateral lenders like the World Bank backed away from large hydroelectric power projects. World hydropower production will grow from 4,000 terawatt hours now — about the annual power output of the United States — to 4,670 terawatt hours in 2020, according to Maria van der Hoeven, executive director of the International Energy Agency, in Paris. 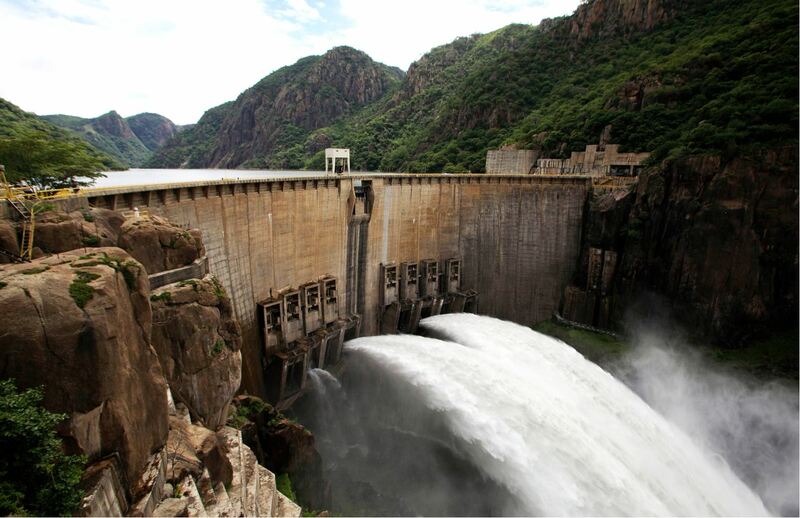 The Intergovernmental Panel on Climate Change predicts that hydropower generation will double in China between 2008 and 2035, and triple in India and Africa. Picking up the slack are national development banks from emerging countries such as China, Brazil, Thailand, and India, and private investors. Public-private partnerships are on the rise, generally with the support of regional development banks. “Who benefits from these infrastructure projects?” asked Jason Rainey, executive director of the anti-dam group International Rivers, in Berkeley, Calif. Some well-documented answers: The Xayaburi Dam in Laos will sell power to Thailand, while threatening the subsistence livelihoods of people who have long lived along the Mekong River; the Inga 3 dam in the Democratic Republic of Congo will sell power to mining companies and to South Africa, rather than to the 96 percent of Congolese who lack access to electricity. Nancy Alexander, director of the Economic Governance Program for the Heinrich Böll Foundation, a public policy institute in Berlin, said she attributed this trend partly to a Group of 20 initiative that prioritized infrastructure investment as a path to economic stability. The initiative encourages joint financing by multilateral development banks and other sources. A World Bank report on hydropower this year said that the bank now “typically acts as a ‘convener,’ bringing other financiers to the table.” It said that over the past five years, the World Bank Group had funded about half of the costs of projects that it financed, with the balance coming from host country governments, the private sector and other development banks. Ms. Alexander said the problem with this model is that it “derisks” mega-projects for the private sector and draws in institutional investors like pension funds and mutual funds. “Very often this means privatizing profits and outsourcing risks to the public,” she said. Those risks can be both significant and hidden, she added. Project backers may cite national security or business confidentiality to avoid sharing information with the public. National development banks such as the Brazilian Development Bank, China Development Bank and the Development Bank of Southern Africa “have abysmal records in terms of transparency and in terms of social and environmental safeguards,” Ms. Alexander said. The reduced involvement of global institutions allows countries to ignore international concerns. Although international backers have pulled out, for example, public-private funding has permitted Turkey to go ahead with its Ilisu Dam on the Tigris, defying Unesco’s objections that it would flood Hasankeyf, a town with 10,000 years of history. Turkish dam projects have also played a role in drying out Iraqi wetlands downstream and exacerbating tensions in Syria. Yet, although dam investment is coming from diversified sources, activist organizations still look to the World Bank to set the standard for environmental and social protections. At the World Bank’s annual meetings this autumn, 318 civil society organizations from 98 countries criticized its proposal for a new environmental and social framework, saying it would weaken existing safeguards. Among other things, they said, it would undermine the rights of indigenous people and of those displaced by projects, fail to protect workers or guarantee human rights and not meaningfully address climate change. “They have a lot of weasel language that softens and dampens safeguards,” Mr. Rainey said. Amy Stilwell, a spokeswoman for the World Bank, said the proposal was just a starting point. A second phase of consultations, including those with the petitioning groups, will begin soon, with a second draft expected in 2015, she said. Part of the reason dams are back in favor, despite ongoing concerns, is the increasing awareness of climate change and the need for cleaner energy sources, said Ken Adams, president of the International Hydropower Association, an industry group based in London. Hydropower can also balance the electricity load and store energy to support intermittent renewable energy sources, such as wind and solar, he said. The Intergovernmental Panel on Climate Change supports hydropower to slow climate change, calling it a “proven, mature, predictable technology,” in a 2011 report. The study emphasized that the effect is more pronounced in tropical ecosystems. Yet hydropower is typically presumed to be emission-free, Mr. Rainey said. “There is no mechanism within dam sanctioning processes, or any of the funding models, that methane emissions be monitored in dam projects,” he said, adding that even carbon market instruments such as the Clean Development Mechanism help to fund large dams without considering their carbon footprints.